Buddha-Mom Tea : Wen Shan Bao Zhong. Gorgeous leaves. Sensory overload soon to come, so many teas today. Revisiting a Wen Shen Bao Zhong which I have not been back to since my initial steepings in August. I like it even more now. It's all flowers and warm honey. Further steepings have a tiny edge of pepper, which is just adorable. What a phenomenal tea. I know the source for this one was the vendor Fragrant Leaf and I wonder if it's a higher quality than others I might find, but regardless of the cost I have to remember how good this one is and follow the lead this tea has provided me, for Wen Shan Bao Zhong is pure honey in the mouth. My next bao Zhong which is in hand and ready to try as soon as this last purchase is gone, and that won't take long, is from Mantra Tea Taiwan, and I will let you know, Dear Reader, how it fares! High Hopes! I also hear Red Blossom Tea Company has a wonderful 2015 and based on this write up from them, I think I shall pursue some for comparison. Will I love ALL Wen Shan Bao Zhong tea equally? Check for future articles exploring both this tea and Oriental Beauty comparisons to come! "Wenshan, the range of mountains that surround Taipei in northern Taiwan produces a type of oolong that is twisted rather than rolled. It's a crafting style that hearkens to an earlier time in tea making, and actually predates the rolled oolongs for which Taiwan is known. Called Baozhongs or "Pouchongs", these teas are the lightest oxidized amongst Formosa teas - usually in the range of 5%-10% - and only lightly roasted to preserve their fresh, lush nature. Our Wenshan Baozhong comes from Pinglin - where terroir and skilled craftsmanship combine to produce the most reputable teas. 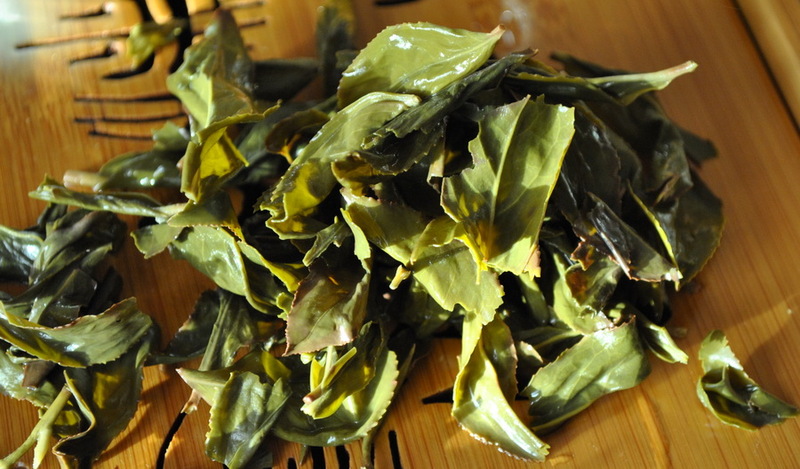 Unlike most Baozhongs on the market, ours is barely roasted - we prefer to allow the leaves to speak for themselves. Harvested in April 2015, this tea is smooth, sweet and enticingly floral, with a subtle hint of cane sugar and cream."